Mr. Green Jeans is a spray foam insulation contractor serving metro New Orleans and Baton Rouge. Please contact us for a free estimate. Spray foam insulation offers ease of application and can help ensure that your home or business is as comfortable as possible, while ensuring lower energy consumption. 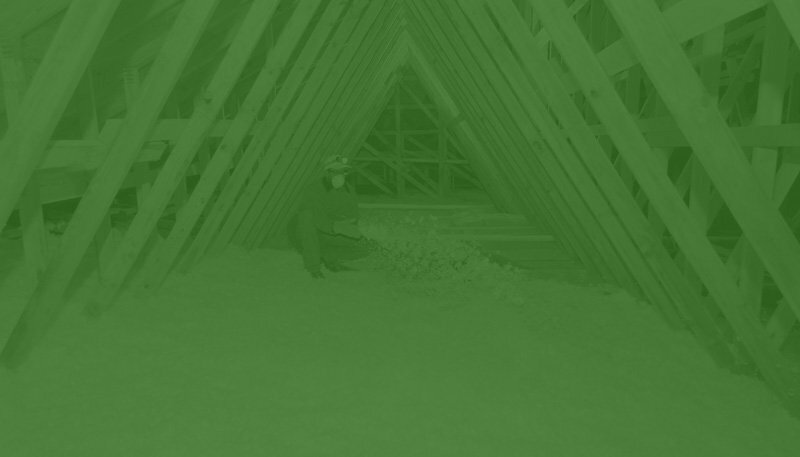 Our spray foam insulation can be installed in new construction, gutted structures and existing homes and businesses. Even if the building is a century old, spray foam is an excellent solution for insulation needs. We can insulate subfloors, attics, open walls, behind existing walls, within metal warehouses, brick structures and more. We employ local, professionally trained installers that will take excellent care of your greatest asset – your family home or business. We fully guarantee the quality of our work. We’re also a local, veteran owned company and can assure you that we have the utmost integrity in our business practices. Mr. Green Jeans Foam Insulation uses both open cell and closed cell foam products of varying densities depending on your situation. We use top-of-the-line foam products from Accella Spray Polyurethane Products. All of our products are environmentally friendly, energy efficient and have the highest R-values in the industry. We don’t believe in marrying our company to one insulation manufacturer because each company has its own specialty, and we want to ensure our customers have a variety of choices to fit their needs, their budget and their goals. Open cell spray foam is a safe insulation option that has a lower density than other products, and is easily applied. Currently, we can offer our customers access to two types of open cell spray foam: NatureSeal OCX and QuadFoam 500. Each is used for a different purpose, and both have different capabilities. We believe energy efficient solutions will give you the best return on your investment. NatureSeal OCX: With a density of 0.5 pcf, this two-component spray foam insulation is comprised of polyurethane, and makes an excellent option for application within walls, as well as for the attic. Save up to 70% on your energy bills. It is also fire-rated, and features an R-value of 3.7 with an application of one inch in thickness. Note that this insulation is GREENGUARD certified as having low emissions. QuadFoam 500: QuadFoam 500 is a unique spray foam insulation that adheres to walls and other vertical surfaces. It does not create any odor, and is applied with a small amount of water to ensure adhesion. It features an R-value of 3.7, as well. Because this type of insulation offers excellent sound reduction, we use it in applications where soundproofing is needed. Note that we only use this type of insulation in new construction or gutted homes, and primarily use it for wall insulation. We believe your time is valuable, so we show up on time. We believe in working as a team to serve the families that trust us in their homes. We believe energy efficient solutions will give you the best return on investment. While there are many different types of closed cell spray foam insulation on the market, the only one we use is QuadFoam 2.0 due to its outstanding benefits for residential and business uses. QuadFoam 2.0 is a two-pound spray foam insulation available in standard, winter and extreme cold configurations. This type of insulation is excellent for use in attics, basements, external walls and many other areas of a home or business. We believe there’s more to insulating a home or business than just installing a product. If you’re ready to learn more about the Mr. Green Jeans difference and how we can help you improve your home, get in touch with us today.